Xavier de le Rue is at it again with this new trailer for his upcoming film, "Degrees North". The first portion, which is seen in this trailer, was filmed last March in Svalbard, Norway. The team used paramotors (think paragliders with big fans on the back) to access the remote terrain. Alexander Feichter has been busy ticking off a few hard climbs in Southtyrol, a couple of 8c's and a self-bolted 9a "Witch of Darkness." But his first climb caught on film is the 8c Flogiston, which he makes look much easier. Stephanie Bodet calls slab climbing a"form of meditation in motion - a yoga of the rock." Her poetic and passionate vision of climbing is seen in this short film, "Of the rock I asked for the moon" while climbing Octogenese in Corsica. 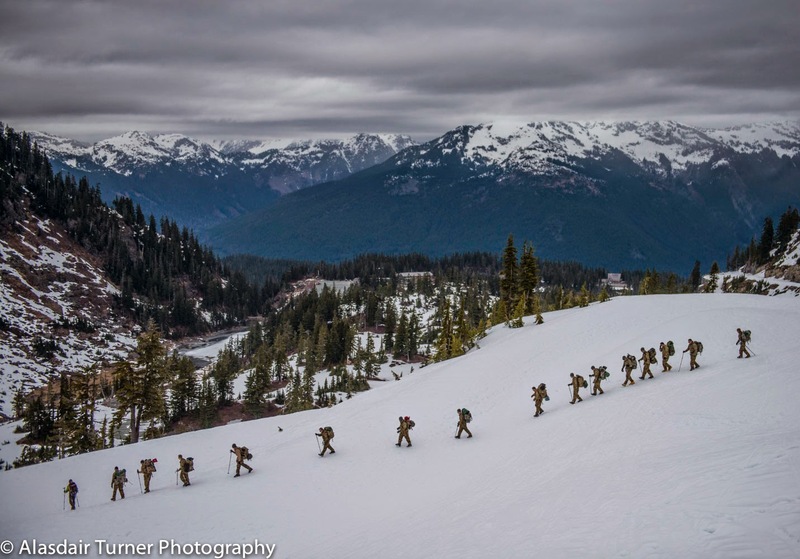 The last two days I have been out in the Mount Baker backcountry working with a group of US Army personnel. 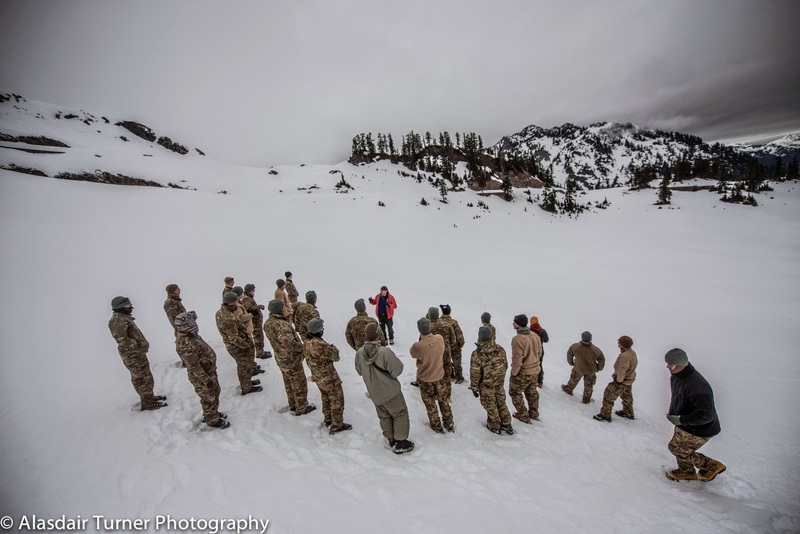 The goal of the course was cold weather survival and although not as cold as it could have been we did have some great conditions for learning and a great group of guys eager to learn. 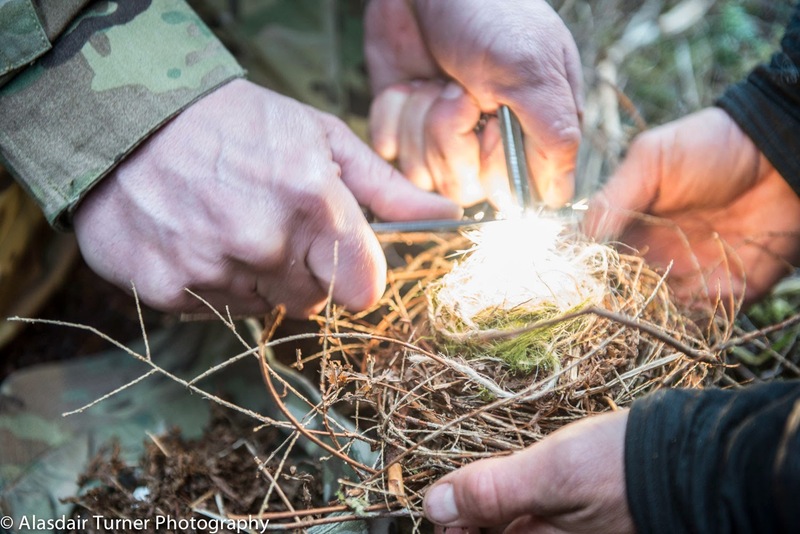 We start the course with a classroom session and then head into the field to build shelters, cook dinner and spend the night outside. The classroom session discusses cold weather injuries, and equipment. From there we moved into the field and hiked into the backcountry. 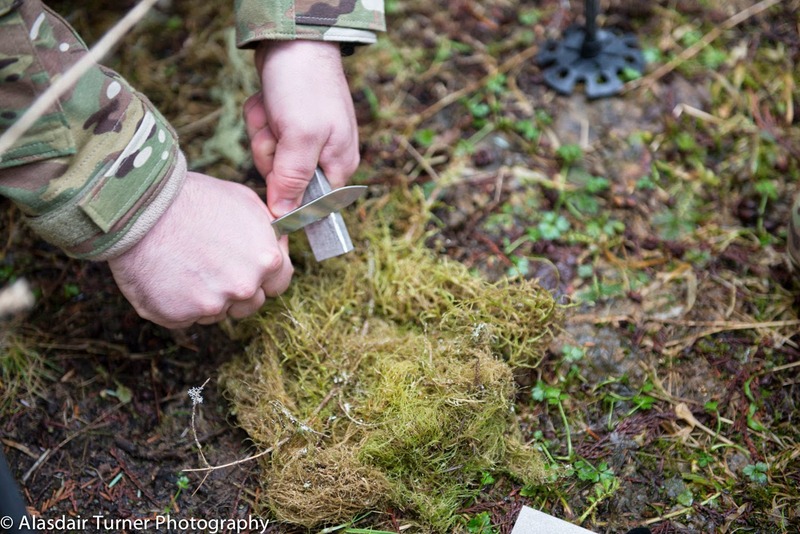 Once there we set up tents and then discussed improvised shelters, and cooking. We had a clear and cold night. The following morning we had several lessons, including terrain use, avalanche identification, improvised rescue sleds and white out navigation. 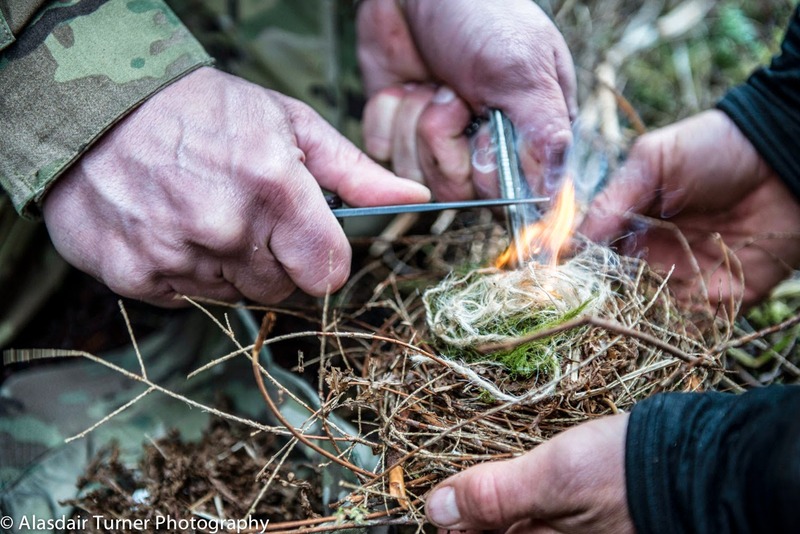 We concluded the course with fire building practice in the woods further down the Mount Baker Highway where we learned that starting fires in the Pacific Northwest in the winter is quite difficult especially when no lighters are allowed. 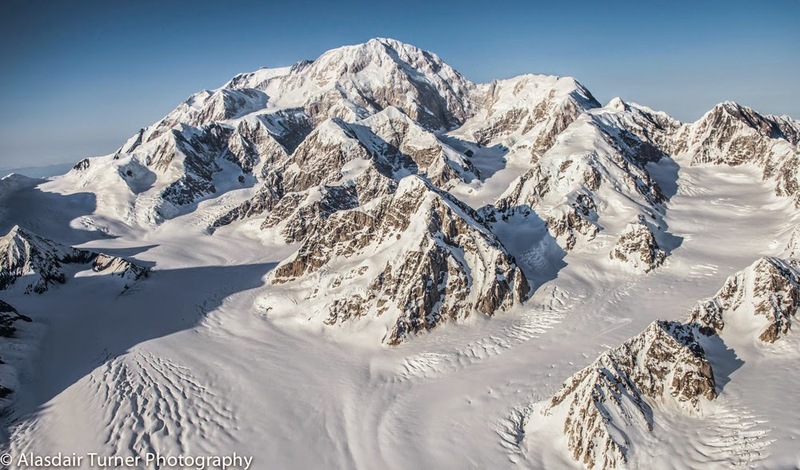 This is the Time of year that many people who are planning to climb Denali start to think about the equipment and gear that they will be bringing on the mountain with them. 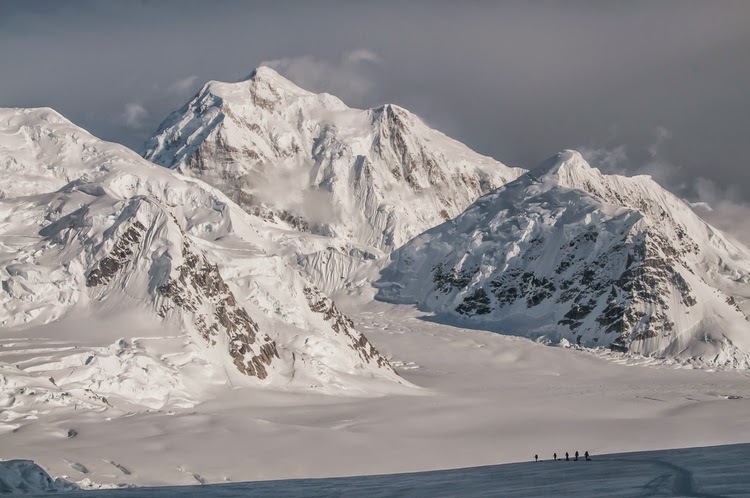 Most of the people who climb Denali make the decision to bring a camera along with them, and just like any other gear, the choice of a camera can be a difficult one. 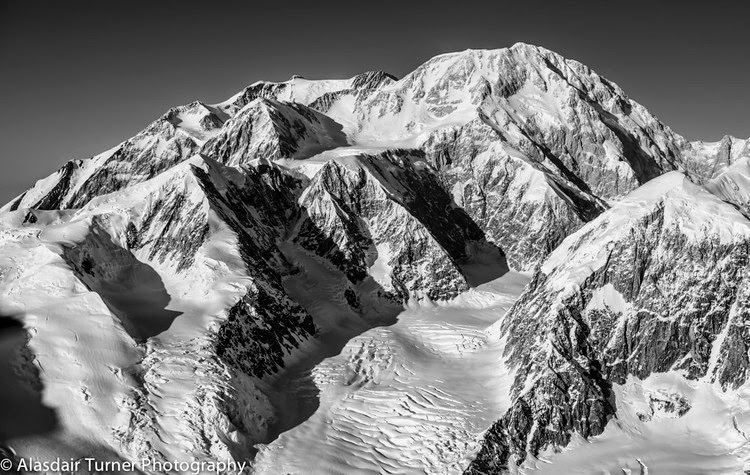 Between person and guiding trips, I have not been that he Alaska Range more than ten times and have never left my camera at home. I have seen many different types and brands of camera on the mountain and some are clearly better than others. Which camera is right for you, and how you plan to carry it depends on what your photographic goals are, but no matter what camera you bring along there are some things you will need to do both before and while on your trip to assure you come home with great photos to accompany your great adventure. If you do bring an SLR bring just one lens. Find a multi purpose zoom lens that will give you many framing options. You will not be able to wander away from camps or off the regular route to shoot the exact photo you want, so having some sort of a zoom lens will be a necessity. There is lots of light on Denali. Even during bad weather there is more light that you need for photography so you do not need a fast lens. This is good news, because fast lenses are expensive and heavy. Many of the standard kit lenses are a great choice. If you use a nikon the Nikon 18-200 is a great option that I have used on the mountain several times. Cannon G16 The best of the best for small cameras. Buy extra batteries as it does not use AAs. Panasonic Lumix None of the Lumix line use AA batteries, but they do have very good battery life and great lenses. Sony WX350 Another good pocket sized camera with good battery life, but bring extras. Carrying is easy with a point and shoot type camera, because it fits nicely in a pocket (an outside jacket pocket that is). I recommend a small camera case that fits on the shoulder strap of a backpack similar to this one. This keeps the camera close by for quick use and outside clothing so there are no potential moisture issues. For a large SLR I sometimes will keep the camera in my pack to protect it, but most of the time my camera hangs on the hip belt of my backpack. I use a top loading Lowe Pro Case like this one. This allows me to get to the camera quickly, but can be a bit annoying when I am on more technical terrain. Another option that I have seen with SLR cameras is to hang it between the shoulder straps so it is right in front of you. From a comfort perspective this is not my favorite option, but you should try several different things to see what works best for you. Footwear is one one of the most important gear selections we make for a trip to the mountains. Not unlike tires on your car which are the "only part that's in contact with the road " as the saying goes, boots can make or break a trip. Everyone who has spent any amount of time in the mountains has heard a tale or two about footwear gone wrong. Recently, I was having an email conversation with a participant about what boots he should get for his trip. By the time the conversation was over I realized I had written some fairly useful information about mountain boots, that could be useful for anyone planning a trip. This blog post grew from that seed. I use Scarpa and La Sportiva as examples here because I'm most familiar with their products. This is because they are usually the most widely available and they also fit my feet well. There are a lot of other good boot companies out there, including Kayland, Zamberlan, Asolo, Lowa, and Salewa. It's all about what fits. "Shank" is a term that historically has referred to a metal bar running the length of the boot sole to add stiffness. "Full shank" boots are very stiff longitudinally and are appropriate for water ice and steep alpine ice climbing. "3/4 shank" boots are softer fore-to-aft and hike and climb rock better than boots with a full shank but do not climb water ice or steep alpine ice very well. These days manufacturers create that stiffness with different methods and materials, but we still use the terms to refer to the performance characteristics of the boots. A high mileage La Sportiva Trango S Evo. The "red boot" is the classic three season mountaineering boot. Three Season: Uninsulated, 3/4 shank. Appropriate for use in the summer, on warmer spring and fall trips depending on conditions, and on shorter/less steep alpine ice. Very light. Climbs rock relatively well. Not very good for water ice or steep, sustained alpine ice. Compatible with strap-on and "semi-auto" crampon bindings. The red boots changed the paradigm for this category and led the way in current lightweight developments. La Sportiva Trango Cube, Trango S Evo (the red boots); Scarpa Charmoz Pro. La Sportiva Trango Extreme Evo Light GTX, a single boot. La Sportiva Nepal Evo Women's single boot. Singles: Insulated, full shank. Appropriate for use on winter day trips and sustained steep alpine or water ice. Can be used for winter overnights but keeping your feet dry becomes big challenge as the trip goes on. Wet feet are cold feet. The silver boots and Rebel Pro are bending this category a bit. Both are lighter but have a less insulation (particularly the Rebels) than other single boots. This is the sort of boot folks are using for most winter climbing in the lower 48 and lower altitude Canada, and for sustained summer ice in The Sierra and Cascades. Compatible with all crampon bindings. La Sportiva Nepal Cube, Nepal Evo, Trango Extreme Evo Lt (the silver boots); Scarpa Mont Blanc, Mont Blanc Pro and Rebel Pro. The toe area of a three season boot (left) and single boot (right). Note the prominent reinforced lip or "welt" on the single boot. This is for fully automatic crampon bindings, the kind with the wire in front. All single, 1.5, and double mountain boots have a welt in the front. If your mountain boot doesn't, it's probably not great for ice climbing. Doubles: Insulated, full shank, with a removable liner. 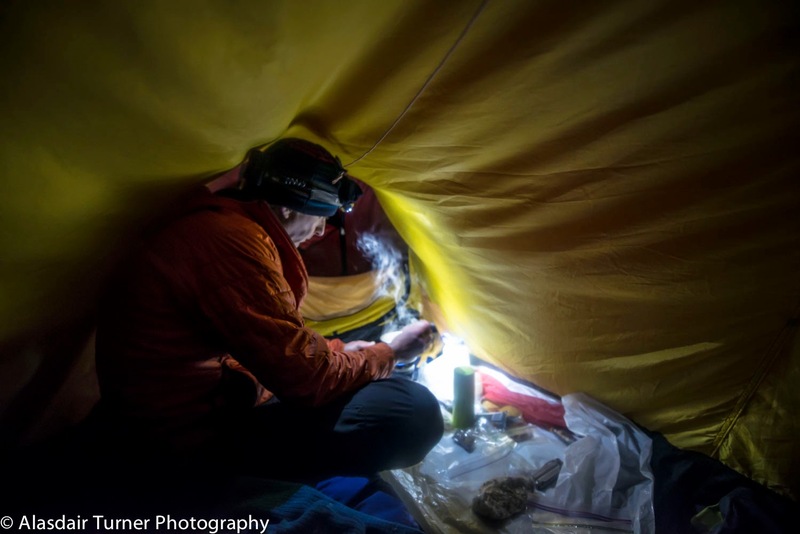 You can take the liner into your sleeping bag at night and dry it out. This lets you have dry (and therefore warm) feet day after day. 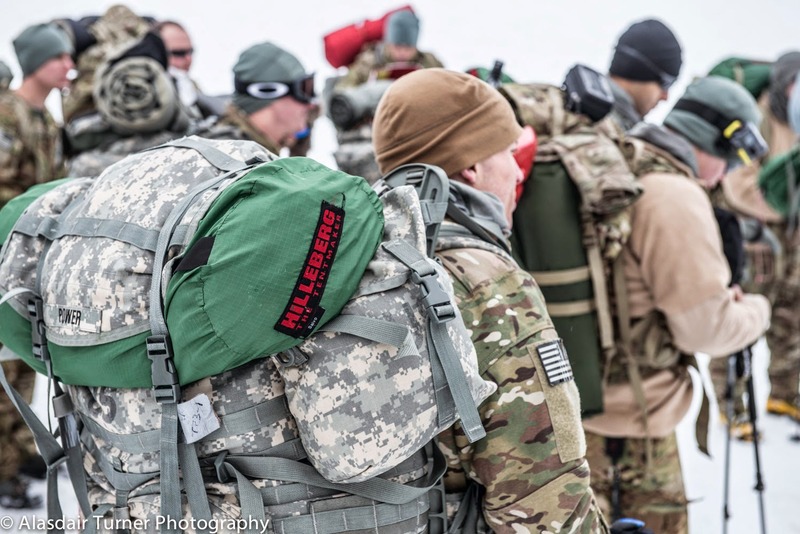 Sometimes called "6000 meter boots", which refers to the sort of altitudes they're used at. Heavy. Stiff uppers don't handle rock or mixed climbing as well, though the Phantom 6000's are alright. Appropriate for really cold conditions and long trips, Alaska and higher altitude Canada. Compatible with all crampon bindings. La Sportiva Baruntse and Spantik; Scarpa Phantom 6000. So what to get? For folks who are involved in an outdoor pursuit (climbing, backpacking, mountain and road biking, skiing and snowboarding, paddling) at any even remotely serious level the idea of a "quiver of one" for gear doesn't work. There's no perfect boot for everything, and the more things you do the more true that becomes. A pair of double boots will keep your feet warm and dry in the gnarliest conditions this continent has to offer, but wearing them on a summer ascent of Mount Rainer's Disappointment Cleaver or Forbidden Peak's West Ridge will have you hating life. On the other hand, spend a few days at a water ice crag in the lower 48 and you're bound to see some poor soul trying to climb steep ice in three season boots. The only mountaineers who own one pair of boots are those who haven't bought their second pair yet. Climbers who own two pairs usually either own a pair of three season boots and a pair of singles, or a pair of single boots and a pair of doubles. Fit is the most important selection criteria. Weight is criteria number 2. If gear shops near you carry several different models, rejoice. If not, several online retailers offer free return shipping. Order a few different models, wear them around the house for a week, and then decide. You can't try on too many different pairs. 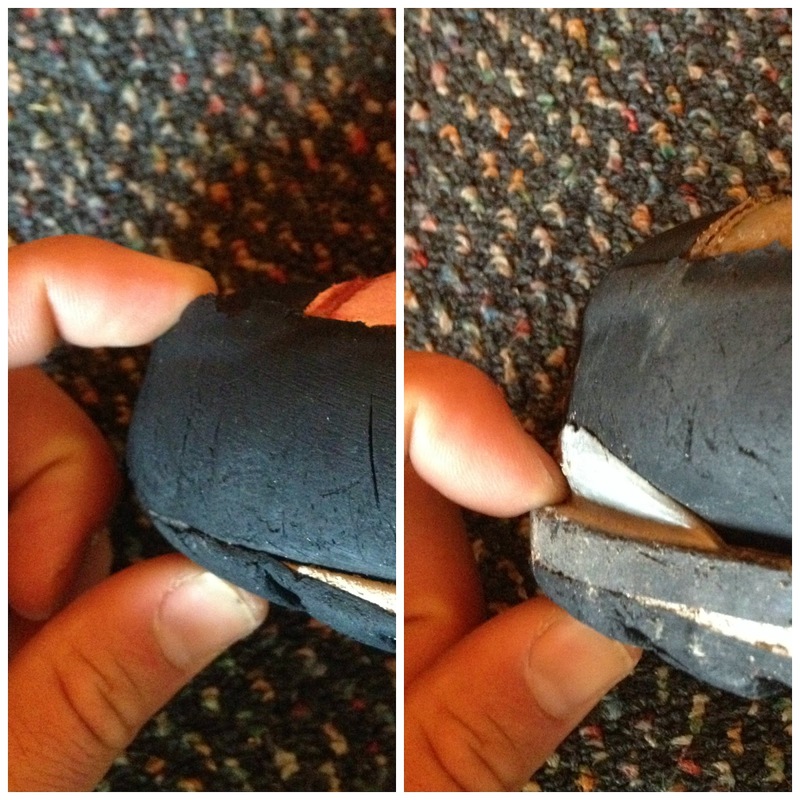 Aftermarket insoles (like Superfeet) can do wonders for improving fit. The liners of double boots can be thermo-formed (or "cooked") to your feet at a good ski shop, look for the most grizzled boot-fitter on staff. Some climbing shops also offer this service. 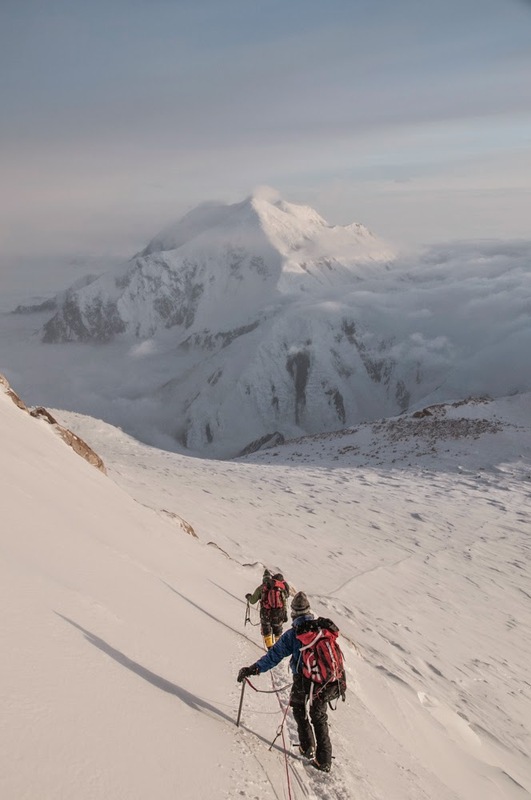 Mountaineering is a gear intensive sport. All that gear costs money. If you don't want to buy a lot of gear, you have other choices from the climbing buffet. Bouldering and sport climbing are both great ways to enjoy the vertical realm with a lot less equipment. If you still want to go mountaineering, get the right boots for your trip. After the Freeride World Tour was put on hold in the wake of a nasty avalanche, they were back on track in Andorra last week. And what a track it was! Check out this winning run from New Zealander Sam Smoothy. Yes, that really is his last name, and with a name like that, there is no need for a nick-name. Red Rock Rendezvous is just a little more than a month away, so I thought I would tempt you a bit with this great video from Paul Robinson putting up a handful of beautiful boulder problems throughout the canyons. Unfortunately for most of us out here in the West, it has been a pretty dismal winter. If you're a skier or rider in the lower 48, you all know that all the snow is dumping pretty much everywhere east of the Mississippi, with the real hotspot right now being Vermont. Although this last video is recently released, it is actually footage from the previous season. But even that can make us envious of how good it is up in New England right now. On Day 2, we showed up to about an inch and a half of slush in the parking lot and it was raining heavily. Avalanche conditions were high, so we adjusted our tour plan to safe slopes around artist point. 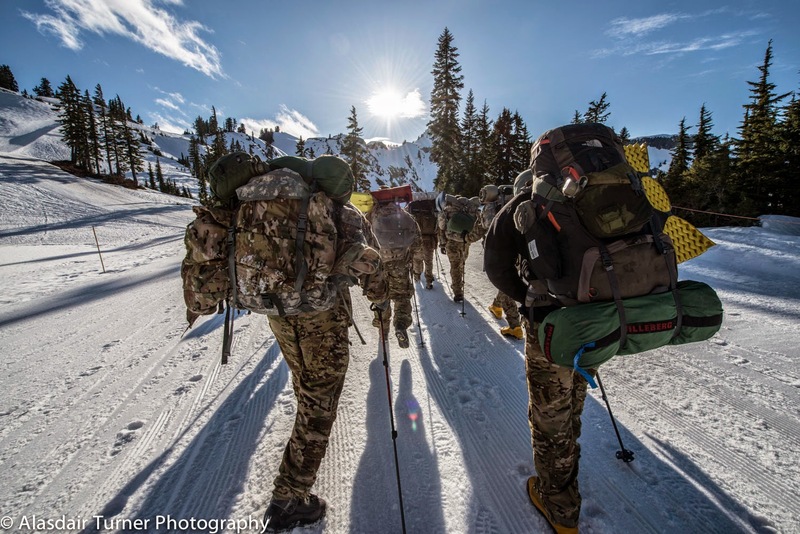 Equipped with Gore-tex and multiple pairs of gloves, we set out to practice some terrain and group management skills. Making turns in some fluffy slush! Despite the difficult conditions, we had a great time! We lost AAI Guide and professional splitboard athlete Liz Daely in late September in an avalanche in South America...and we all still think about her all the time. Patagonia recently released this video of Liz and friends on a backcountry trip in Alaska. It's both Valentines weekend and President's Day Weekend (and Friday the 13th as well). In case you have Monday off, or maybe you're just lounging with your sweetie, the videos I've got for this Weekend Warrior are a little longer than usual. First off, we've got 11 minutes of Rocklands, South Africa, featuring Alex Megos and friends throwing down on some awesome bouldering. Next up is a heartfelt tribute to JP Auclair from his friends at Alpine Initiatives and Sherpa Cinemas. JP was killed with his friend and fellow skier extraordinaire, Andreas Fransson, in an avalanche in South America in September of 2014. Finally, our last video for this weekend is a film from POW (ProtectOurWinters.org) and SNOCRU. It's not like our normal Stoke videos, but we hope you watch it. Narrated by Conrad Anker, "Momenta" is a documentary aimed to educate, raise awareness, and activate communities to stop all proposed coal exports in the Pacific Northwest. SEDRO WOOLLEY, Wash. – The public is invited to participate in a series of informational open houses regarding restoration of grizzly bears in the North Cascades ecosystem. The meetings are being held by the National Park Service (NPS) and U.S. Fish and Wildlife Service (FWS) as part of the Grizzly Bear Restoration Environmental Impact Statement (EIS) process for the North Cascades ecosystem. This is the first opportunity for public involvement in the EIS. The purpose of the EIS is to determine whether or not the agencies will take an active role in restoring the grizzly bear to the North Cascades Ecosystem. The FWS listed the grizzly bear as a threatened species in the lower 48 United States in 1975. The species was listed as endangered by the state of Washington in 1980. 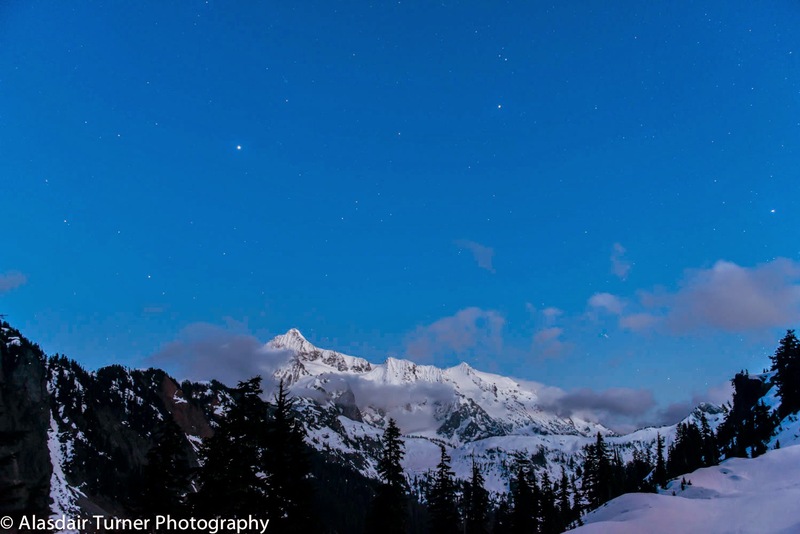 The North Cascades ecosystem encompasses 9,800 square miles in the United States and another 3,800 square miles in British Columbia, Canada. The United States portion of the ecosystem includes North Cascades National Park, Ross Lake National Recreation Area, Lake Chelan National Recreation Area, Okanogan-Wenatchee National Forest, and Mt. Baker-Snoqualmie National Forest. A few grizzly bears have recently been sighted in the Canadian part of the ecosystem, but no grizzly bears have been sighted in the United States portion for several years. The U.S. Forest Service and the Washington Department of Fish and Wildlife are cooperating agencies on the EIS. 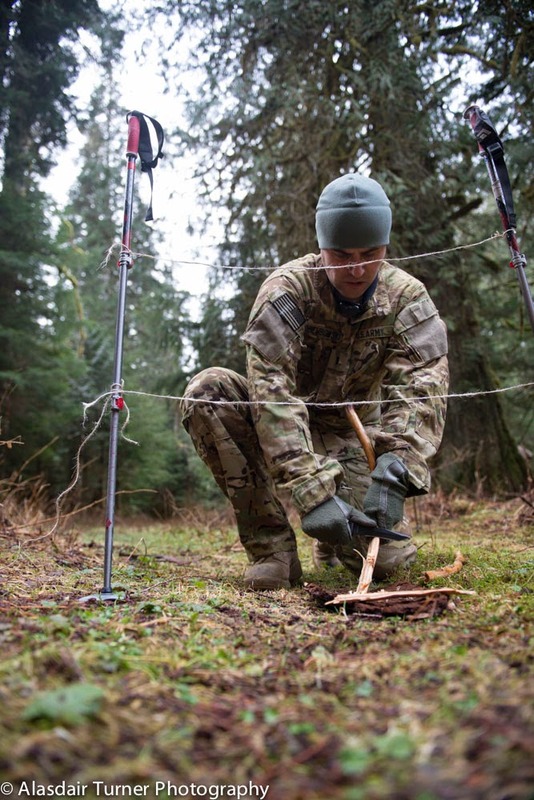 Funding for the EIS is provided by the NPS. The U.S. Forest Service, FWS and other cooperating agencies and partners will provide technical support throughout. For more information on grizzly bear recovery, visit http://bit.ly/NCEgrizzly or nps.gov/grizzly. Over the last four days I was fortunate enough to be a student in a Level II AIARE course, taught by American Alpine Institute instructors Cliff Palmer and Richard Riquelmie. For those who don't know, AIARE (the American Institute for Avalanche Research and Education) is the foremost organization for snow education and avalanche awareness in the U.S. AIARE has designed three courses (Level I, II, and III) for backcountry travelers hoping to increase their knowledge, and improving their safety margins in avalanche terrain. Level I is focused on basic interpretations of weather data and snowpack, terrain selection, and rescue protocols. 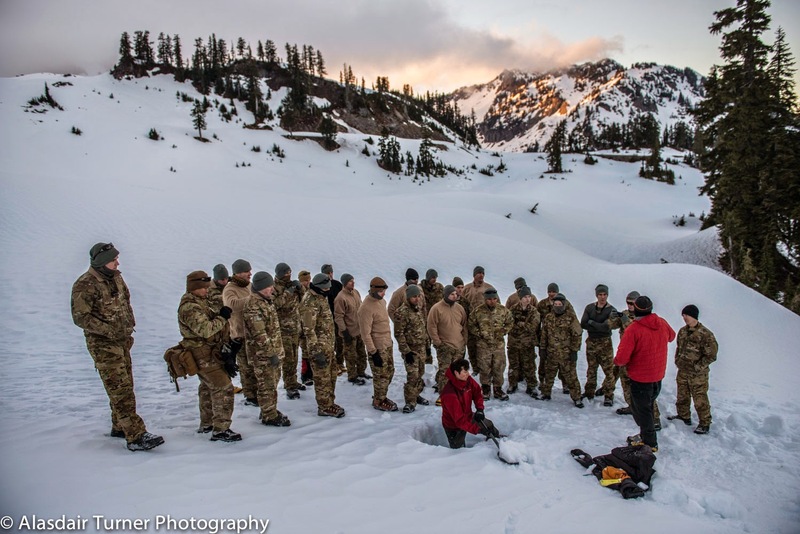 Level II begins to step into snowpack analysis, detailed weather data interpretations, heuristic factors, and multiple burial recoveries. As our instructor Richard put it, in Level II, we learn "now-casting." Coming into the course, I think we were all a little unsure of how much practical experience we were going to be able to gain. 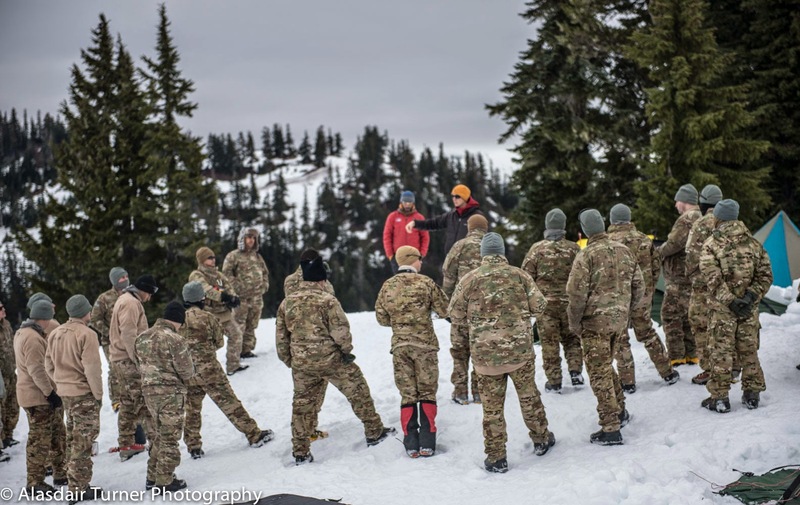 The Northwest has had one of the worst snow years on record, and I was definitely concerned that with the dismal conditions it would be hard to apply the knowledge we were being taught. It turned out that although the snowpack was quite low, it actually contained some variance, and we were all pleasantly surprised when the last two days of the four-day course we actually received quite a bit of snow! All said, we were able to witness a good storm cycle, observed some considerable avalanche conditions, and got a good look at the metamorphosis of the snowpack under changing conditions. Our typical day in the course was split between classroom learning and heading into the backcountry near the Mt. Baker ski area to dig data pits and examine the layers in the snowpack. We learned how to gather data about the layers using a magnifying glass to examine snow particles, and performing stability tests to see how well the layers were bonded. The last day of the course it was snowing heavily and nwac.us forecasted considerable avalanche danger for the day. I had never been out on a day with considerable danger, but with Cliff and Richard's expertise and careful route selection we were able to make it to Artist Point (around 5,000 ft of elevation in the Baker backcountry), where we dug some data pits and were able to examine first-hand where the weaknesses in the snowpack were, and why considerable danger had been forecasted. As we descended back to the cars, we were able to get a few turns in some of the best powder we had skied all year in the NW. As Cliff remarked, it may have been the best skiing we will get all year short of going to Japan! The AIARE Level II course was eye-opening, empowering, taught by two expert snow professionals, and with practice and experience, it set me up to get there one day as well. I would highly recommend any winter backcountry traveler become involved in the AIARE programs, and what better place to do it than in the (usually) epic snows of the Mt. Baker area. For a list of AIARE programs offered by AAI, click here. Here in the Pacific Northwest, the weather follows no pattern. Once winter sets in, the only conditions you can really count on is low visibility and a deep, heavy snowpack. Experiencing the Cascades in winter can be an unbelievably amazing experience, and a right of passage for budding alpine climbers, but trying to figure out when the weather will allow recreational travel can be like learning another language. Fortunately, there are several online resources that will be your Rosetta Stone(TM). These are sites that I've used with much success throughout my winter (and summer!) Cascade climbing career. NOAA, the National Oceanic and Atmospheric Administration, is the most accurate and data-intensive site for North America. Nowhere else online will you find a more detailed 7-day forecast. If you look in the upper right-hand corner of the forecast screen, you will see elevation data for the station where the weather is reporting. This is important for recreational travel because from this measurement you can accurately decipher the average day and night-time temperature of the elevation of your intended area of travel. For every 1000' gained or lost, the temperature changes 3.3 degrees F. Also in the right hand corner, you will find a link for the '3 day history'. Click and you will find a chart of data updated every hour at the weather station closest to the area you searched for; wind speed and direction, temperature, inches of precipitation, and relative humidity. You can learn alot from this chart as a backcountry traveler. By reviewing the data from the previous 10 hours, you can learn about what the conditions are looking like in your prospective area of travel. 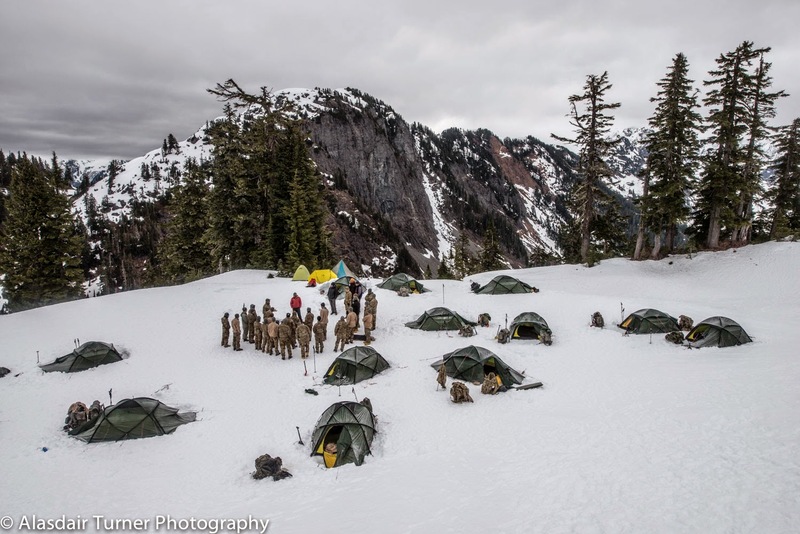 The Northwest Avalanche Center hosts NWAC.US, which provides the coast ranges (The Cascades and Olympics) of Washington and Oregon a resource for backcountry snow conditions. Throughout winter and into early spring, NWAC.US provides a comprehensive forecast for the stability of the snowpack and avalanche danger for the region. This should be a mandatory stop in planning any winter excursion. Make sure to read the forecast discussion as well as checking the charts. 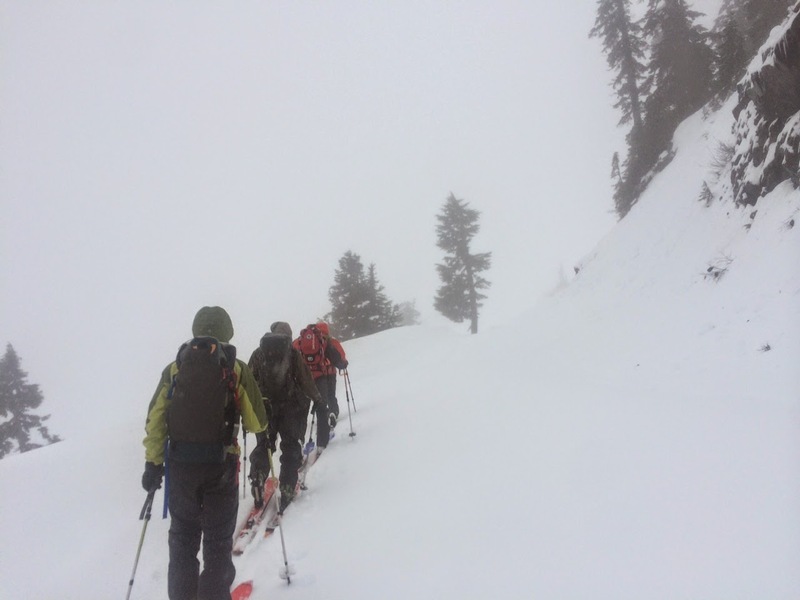 While the Northwest Avalanche Center is an authority dedicated to providing awareness and accurate forecasting, it is no substitute for practical knowledge. Anyone taking trips into the backcountry in the winter should have avalanche awareness training. If you are looking for user-based data on the Cascades, Cascadeclimbers.com is a great website. The trip reports usually provide great pictures and conditions updates and can give you a good idea of what you should be expecting out there. Cascadeclimbers.com is also a great summer resource, and it has provided me with inspiration to get out to some of the little-known areas of the Cascades. Check it out! Turns-all-year.com is a skiing-based website similar to Cascadeclimbers.com in that it is largely user-based info. They have a great trip report section, but the best part of Turns-all-year.com is the access data on the site. Access to areas in the Cascades changes frequently due to road closures and heavy winter snows, so I consider this another mandatory stop in your planning. I always check the weather at NOAA first, but then I will balance their forecast with one from another forecasting website. I commonly use wunderground.com as this second opinion. Mountain-forecast is also a great website for checking specific areas, but their database is still under development, and may not include all areas of the Cascades. 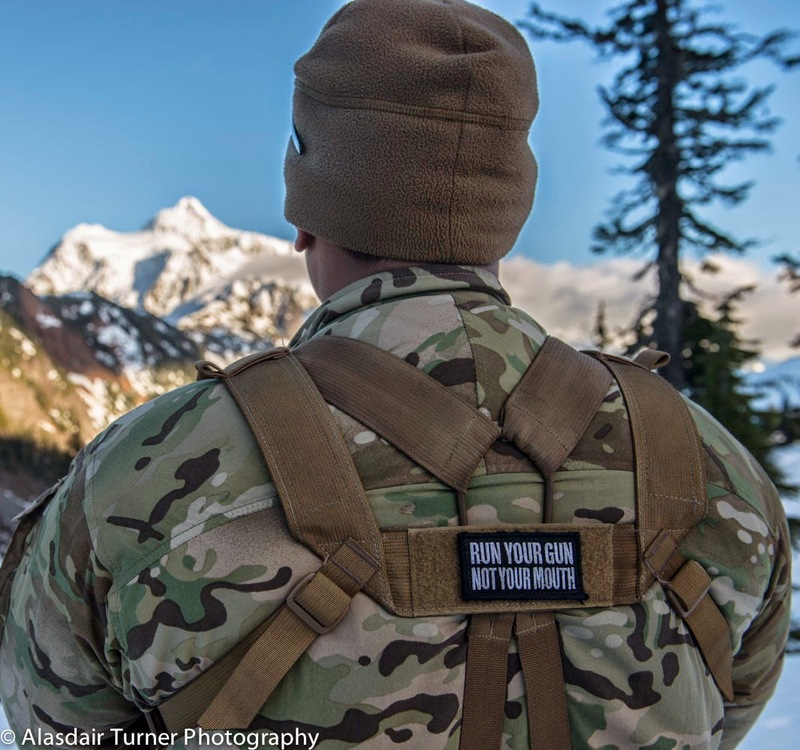 These are some great resources to help give you some confidence into traveling into the Cascades in winter. It is important to remember that these are resources that need to be paired with knowledge and experience. Don't bite off more than you can chew! 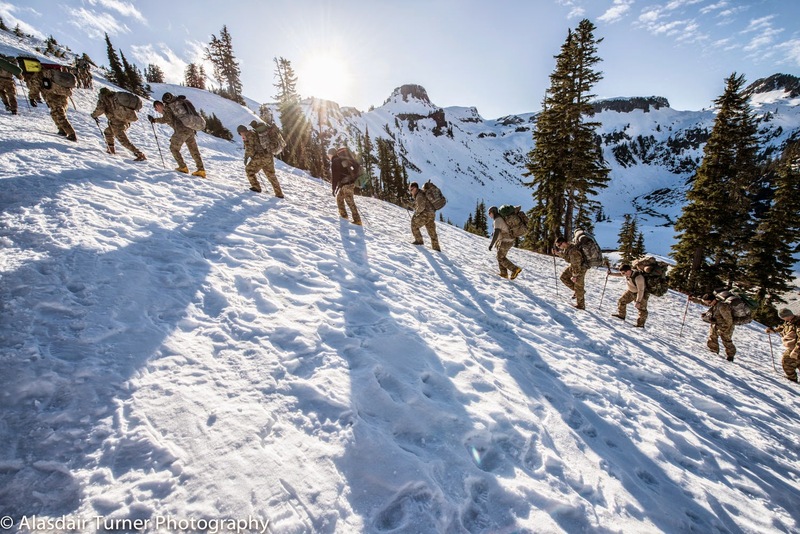 As always, the American Alpine Institute is available to provide knowledge and professional instruction. Learn more about our winter programs here! By now many of you are aware that there was a serious avalanche in Kappl, Austria during a Freeride World Tour event on Tuesday. French free skier Julien Lopez set off an avalanche after taking a fall and losing a ski. He was climbing back up the deep snow when the slope released. Lopez reacted by pulling his ABS airbag system and stayed on top of the debris as the slide ran down the mountain. The skier suffered a few minor bumps and bruises to his leg and ribs. Here's the thing though. This mountain had been heavily controlled. The slope had been repeatedly bombed and there were guides on site checking the snowpack. But even with all of that, a layer of instability was missed and it resulted in an avalanche. Mt Hood, an 11,250' volcano located an hour and a half from Portland, is a beautifully aesthetic mountain which boasts easy access and some great climbing routes. From basic mountaineering routes to challenging and sketchy ice climbing, Hood has a good selection of routes for climbers of any ability. I have climbed many routes on the Hood, but my favorite so far has to be the Reid Glacier Headwall Route. The Reid Headwall is located on the Southwestern aspect of Mt. 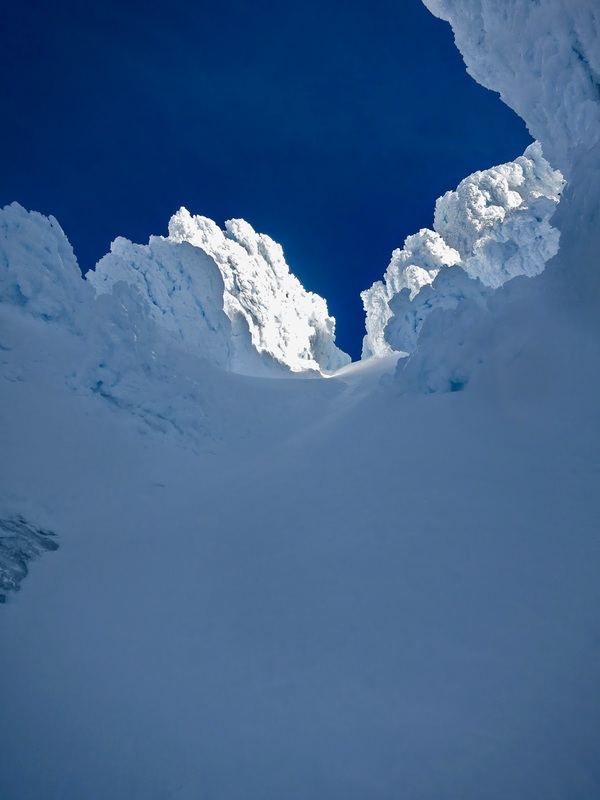 Hood, and hangs above the Reid Glacier, which is known as one of the most heavily-crevassed glaciers on Hood. The best access point for the route is from the saddle that separates Illumination Rock from the mountain proper. After dropping down a steep slope, traverse high towards the berguschrund which marks the start of the route. 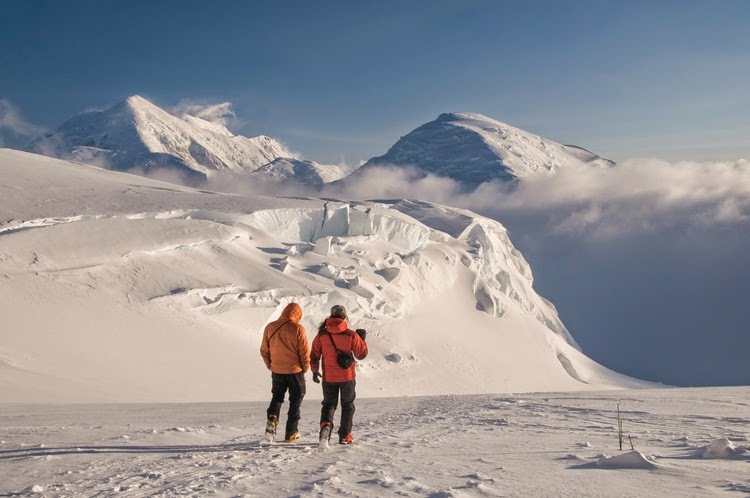 The climbing can vary quite a bit depending on conditions, but it is always guaranteed to be between 55 and 60 degrees, with short steps which are closer to 80 degrees. 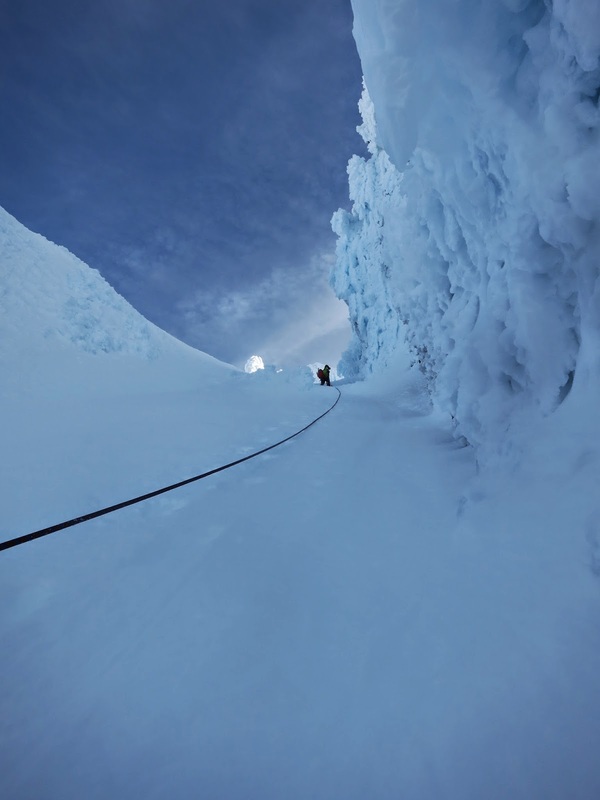 The climbing can range from bulletproof ice to hard-pack snow and powder. 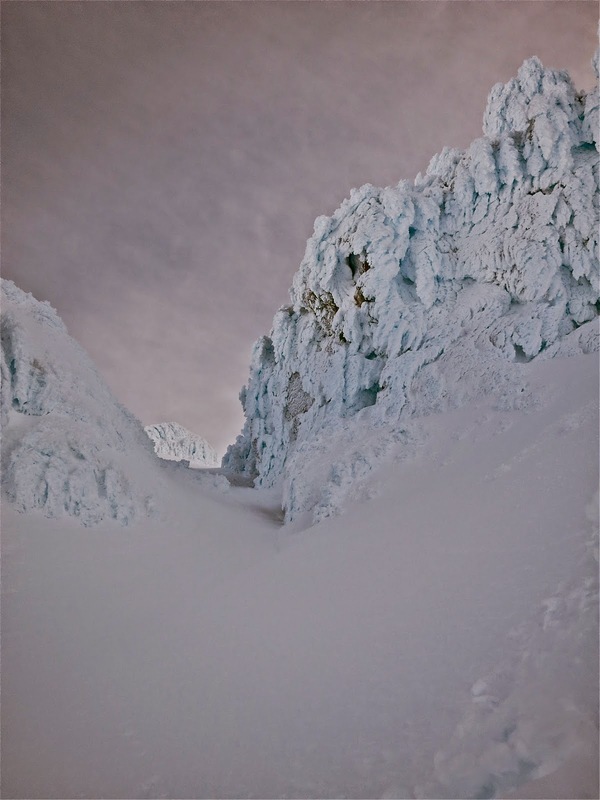 The coolest part about the route are the awesome towers of rime ice you weave your way through. These can also be a major objective hazard if you climb too late in the day, or don't hit conditions right, but if its cold and clear, most of the rime ice will stay in place. The Reid Headwall is a great route for climbers looking to push their way into steeper snow and ice climbing. With easy access and 2500' of climbing to the beautiful summit of an iconic volcano, what's not to be psyched about?